Only 419 in stock. Additional quantities will deliver at a later date. 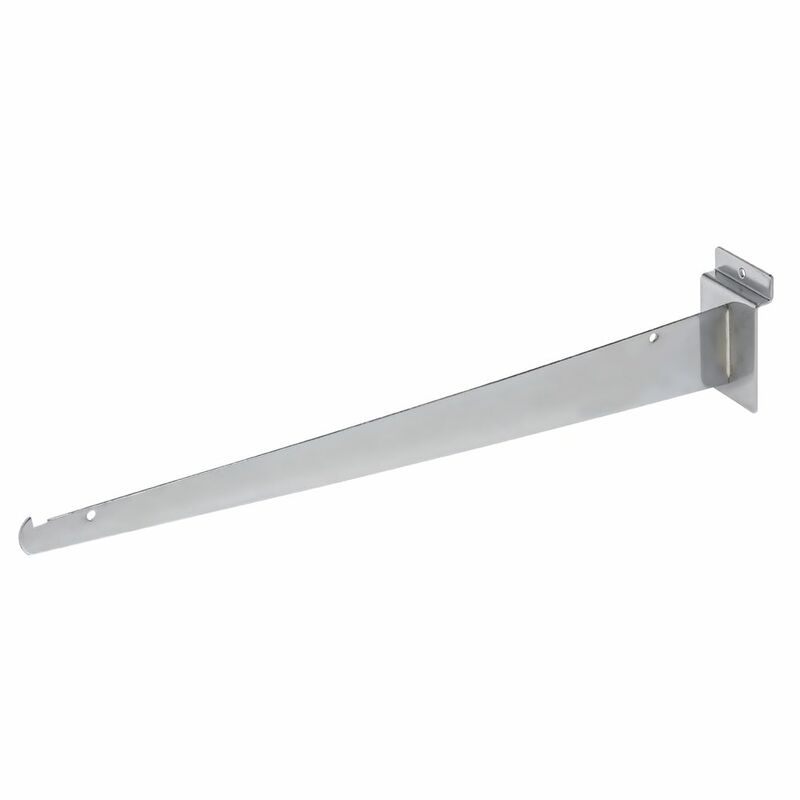 The chrome slatwall shelf bracket has a modern look. Easily installed on slatwall panels or fixtures. The slatwall shelf bracket is perfect for showcasing a variety of products and will increase your merchandising space.